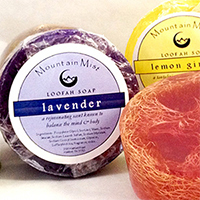 Our cold-process, handmade soap is wonderful for your skin because it contains natural, skin-softening glycerin. Most commercial soaps extract glycerin and sell it leaving you to cope with dry, itchy skin! 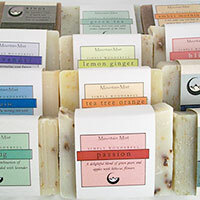 These handmade soaps do not contain animal fats, just pure, natural oils, botanicals, clays, and herbs.